Towards the end of Asif Kapadia's documentary Senna, we see Ayrton Senna being asked whom he most admires at a press conference. Despite his years spent at the top of the Formula 1 world, the driver casts his mind back to his youth for the answer, recalling someone he raced alongside as a teenager on the go-kart circuit. A world away from the money, the fame and the technology that dominated the sport he now took part in, he and his fellow the go-kart racers took to the track for the sheer thrill of driving and testing their skills against their competitors. "It was pure driving" he states, "real racing," and we get the sense that this ideal stayed with Senna during his glorious but tragically short career. A deep love of his sport and a ceaseless pursuit of victory motivated him, and that mentality – combined with a God-given natural ability – is what tends to separate true sporting stars from the rest. Senna is not really a film about Formula 1. The film's subject may have competed in that arena, but he subsequently became one of the rare individuals who managed to transcend their chosen sport to resonate with the world outside it, and Asif Kapadia's film deserves to achieve the same feat. It is a movie that should resonate with both Formula 1 devotees and those with no knowledge of or interest in the sport because it is a riveting character study of a complex and charismatic individual. We see how he lit up the sport of Formula one, how he affected everyone who worked alongside him, and how he became an icon in his native Brazil. 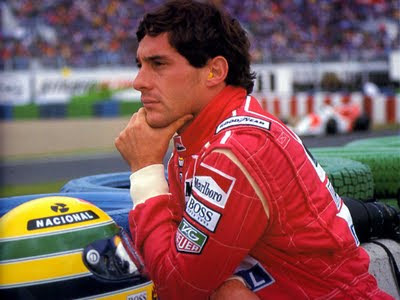 Senna might veer close to hagiography, but the love and respect of those involved in the film feels completely genuine. It's impossible to watch the film without being touched by the story it tells, because Senna is, above all else, an exemplary piece of storytelling. This is Asif Kapadia's first documentary feature, but it unfolds with the momentum of a great drama. Kapadia and writer Manish Pandey have focused in on the key points in Senna's life and shaped an absorbing narrative around them. 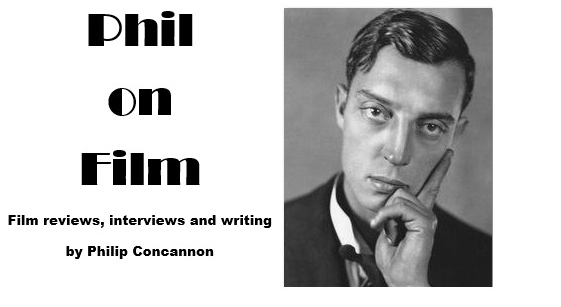 The film contains all the elements of a gripping tale – a charismatic hero, an extraordinary rise to prominence, a bitter long-running feud, political chicanery, and a tragic denouement – and the filmmakers weave through each of these checkpoints with remarkable confidence and elegance. For an extraordinary subject, they have chosen to make an extraordinary film, rejecting many standard documentary tropes and electing to tell Senna's story in as streamlined a fashion as possible. There are no onscreen talking heads here to disrupt the film's flow; the whole movie is constructed from a treasure trove of footage (some of which, having been retrieved from the F1 vaults, has never been seen before), which makes sense as Kapadia has always been a very visual storyteller. He builds a portrait of Senna through official race footage, interview clips, home videos and behind-the-scenes shots, and the film is an editing masterclass, weaving together images from a wide variety of sources into a coherent and perfectly paced whole. The portrait of Ayrton Senna that does emerge from the film is one of a natural born sportsman and star. He displayed his racing prowess at an early stage, and came to prominence at the 1984 Monaco Grand Prix, when he drove fearlessly in treacherous conditions to move up from 13th place and into contention for the lead, before his assault on race leader Alain Prost was halted by a red flag. Prost subsequently became a key figure in Senna's career; the dour, pragmatic Frenchman frequently clashing both on and off the track with his more tempestuous rival. At the Japanese Grand Prix in 1990, Senna claimed Prost was being given an unfair advantage with the positioning of the first and second drivers on the starting grid, and the pair collided at the first corner, with Senna driving Prost off the track and into the gravel, securing the Brazilian his second world championship in the process. Senna professes his innocence in a later interview ("If you don't go for that gap" he tells Jackie Stewart, "you are no longer a racing driver.") but the incident reveals the steely determination that lay beneath the handsome, charming surface. That determination is what drove Senna to one of his most iconic victory, when he overcame technical failures to win the 1991 Brazilian Grand Prix in front of a passionate home crowd. The malfunction of Senna's gearbox meant he had to draw upon all his reserves of strength to keep his car on course, and it's an extraordinary sight to see him having to be lifted from his vehicle after the race, barely able to lift his arms and in incredible pain. He gave everything to win that race in his native country. No wonder the Brazilian people loved him. No wonder they felt such a profound sense of grief at his passing. How difficult it must have been for Kapadia and Pandey to approach the 1994 San Marino Grand Prix. We all know this is what Senna is building towards, the race that claimed the lives of both the film's subject and Roland Ratzenberger, but the filmmakers handle it with commendable sensitivity and tact. They don't need to overplay the emotions of this event. All they need to do is show us the stricken faces of Senna's teammates and rivals, let us hear the heartbroken recollections of his friends, and experience the astonishing outpouring of grief that was on display at his funeral in São Paulo. As we watch these scenes, we still feel the tragedy of his loss almost twenty years on. Formula 1 today is a sport characterised by technology, money, sponsorship and allegations of corruption, while the men driving the machines themselves often appear to be an afterthought. In such an environment, it's heartening to be reminded of a man who briefly illuminated the sport with his pursuit of "pure driving" and "real racing," and Senna is the most fitting tribute imaginable.